If your product has a browser component, the best practice is to include a redirect URI. The redirect URI allows the PIN to be communicated transparently so that the user doesn't need to enter it manually. The redirect URI should point to a site on your server or in your cloud. One common use case for a redirect URI is to bring up a page that has a structure picker, allowing the user to select a primary residence or a vacation home, for example. Another example might be a deep link within your mobile app. A third example is when the validation accepts localhost. In this case, the URI doesn't actually function as a redirect, but takes the authorization code and uses it to exchange for a token. With multiple redirect URIs, a Works with Nest single client can be released to multiple locales or tested in different environments, each with its own URI. 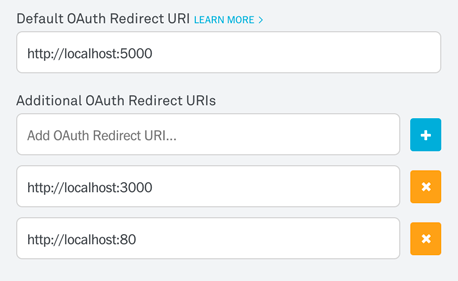 It makes sense to set up multiple redirect URIs in your Works with Nest client so that you can have multiple locales, multiple app types (web, mobile), and mobile deep linking with platform-specific URIs. Caution: During local development, it's common to frequently change the client permissions. Each time you change the permissions, end users must reauthorize. Therefore, it's a best practice to keep a separate Works with Nest client for testing new scopes. In theory, there's nothing wrong with mixing production and test URIs on the same client if the URIs are used for testing changes in your cloud without changes to permissions. However, to prevent mistakes, it's probably best to avoid overlap between your production URIs and your local development/testing URIs. For deep links, your URIs must conform to the RFC 3986 URI standard and must not start with https or http. In the client configuration, specify multiple (up to 10) redirect URIs. URIs can have up to 2083 characters. In the authorization URL, include the redirect_uri query parameter. Note: For pincode-based authorization, leave all URI fields blank and do not pass a redirect_uri query parameter in the authorization URL. In the authorization URL, make sure to URL-encode the URI by running the urlencode command. If you omit the redirect_uri query parameter, the default redirect URI is used.